Abstract: This study investigated the effect of External Brand Communications on internal brand management practices using brand commitment and brand understanding as factors determining the phenomenon and subsequently analyzing the effect of both internal and external factors on brand citizenship behavior. A sample size of 300 respondents was selected from manufacturing and service oriented companies and the effects were analyzed using Structural Equation Modeling. It was found that there is significant and positive influence of brand understanding in determination of brand citizenship behavior and reflected mediating role of external communication congruence. Furthermore, it has also found that internal brand management practices are more evident in case of manufacturing firm i.e. a reputed Biscuits Manufacturing Company as compare to financial firm i.e. a renowned Private Limited Bank. It reveals necessity of work required in case of Private Limited Bank to work on external communication practices and integrate it with internal brand management practices to increase its role in determination of employee behavior and their role in propagating brand image as second audience. 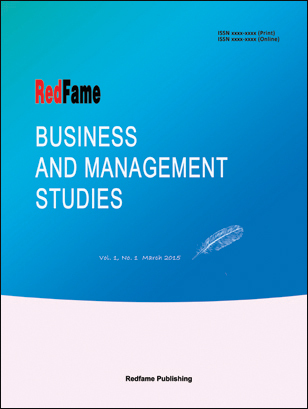 Abstract: The study attempts to measure the contributions of sources of employee-based brand equity (EBBE) to the market performance of deposit money banks (DMBs) in Nigeria. A quantitative approach using self-administered questionnaires was adopted. Empirical data was drawn from 360 respondents (182 employees and 178 customers) in the six (6) geo-political zones in Nigeria. Structural Equation Modelling was used to analyse the hypothesized paths/relationships. The study found that out of the three sources of EBBE, brand commitment was the strongest predictor of overall EBBE. It also found that out of the three market performance indicators, customers’ intention to pay a price premium was the most dependent on EBBE sources. In relation to employees/customers relationship, this paper provides evidence for issues of potential research and managerial interest. Practically, the study findings will help brand managers, other marketing practitioners and indeed marketing scholars to develop effective internal brand management strategies with a view to implementing them profitably. Abstract: Stock market is an essential part of a nation’s economy and requires adequate evaluation of all factors that militate against its performance. This study investigates the role of macroeconomic variables in determining the stock market performance in Nigeria using annual time series data covering a period from 2009 to 2018. These data have been sourced from the World Bank Development Indicators, International Monetary Fund and CBN Statistical Bulletin. The results from the regression analysis indicate that exchange rate and interest rate do not have significant impact on share price index while inflation rate exerts a significant negative influence on share price index. On the contrary and in line with the concept of GDP and stock market performance, GDP significantly and positively impacts on share price index. The study among others suggests that the growth of the economy should be maintained to keep stock market flourishing while macroeconomic variables such as inflation, interest rate and exchange rate should be appropriately regulated by the relevant authorities to curtail all negative influences on stock market performance.